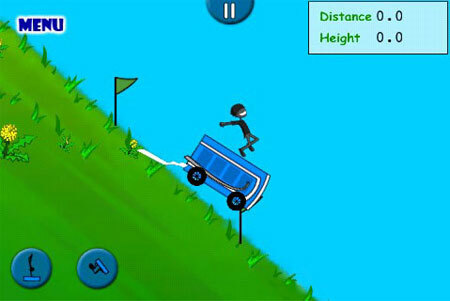 The 10 adrenaline pumping games like Happy Wheels are here. Fans of the game in question, who have been scouting the tech arena for similar options, can halt right at this spot as we’ve jotted down the crème of the crop. They all comprise of elements such as ragdoll, bloody, physics and a whole load of fun. You’ve had your share of fun as an old man on a wheelchair, businessman on a segway, father and son on a cycle and fat man in a shopping cart in Happy Wheels; it’s now time to try your hand at a few other alternatives. While Happy Wheels let you to ride the conventional sort of transportation, Potty Racers literally allows you to zoom down lush hills and barren lands atop a Porta Loo. Yes, you read it correctly. Your vehicle of choice here is a portable toilet that can be driven up and down multiple hills. Furthermore, the credits you earn during the game can be used for purchasing ‘poopy’ upgrades such as airfoils, monster tires and jet packs. There’s even a ‘hard’ setting thrown in for all those who’ve mastered the art of using the P-Pot for alternative purposes other than its initial intension. And besides playing the game through your browser, you can also avail of all the potty fun through your iPhone, iPod touch and iPad. If blood splattering isn’t really your thing and you’re looking out for a good, clean bike racing title that involves a lot of ups and downs then we suggest you try Diesel or Death. It’s a browser based flash game that’s sprinkled with Mad Max flavoring, according to the developer. Here you can race to the finish line while avoiding pits and obviously nasty crashes. Gather power ups strewn along the tarmac to annihilate any competition. So what will you choose – Diesel or Death? 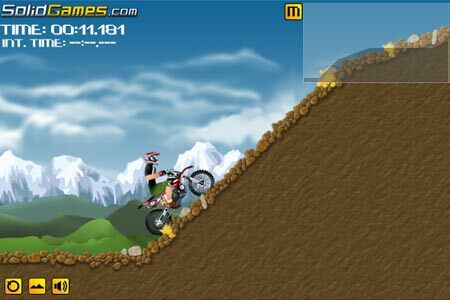 Here’s another title in our games similar to Happy Wheels roster that provides you with pure browser racing fun. This time around, thread through a ruthless track seated on a powerful dirt bike. Compete with other solid riders and reach the finish line with a good score. You’ll even be bestowed with gold, silver and bronze medals depending on your in-game performance. Just a few words of caution – avoid obstacles and maintain your balance. 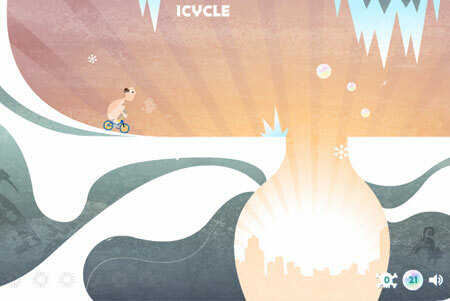 In Icycle, you get to ride your mini bike stark naked, in the blistering cold. You have to simply follow the trail of frozen soap bubbles that lead you across the gorges and slopes of a world that’s been submerged in ice. It’s certainly going to be a bumpy ride as the path is littered with gaps, dangerous icicles and other sorts of peril that must be avoided unless you want to turn into a human Popsicle. 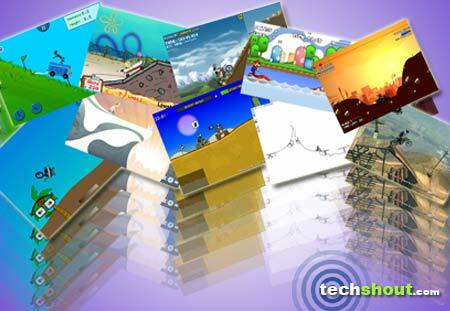 This one also is a flash game which can be played through your browser itself. 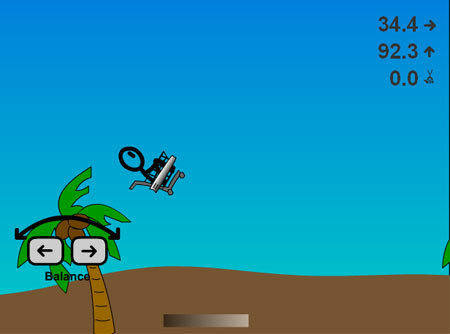 Going past the gruesome aspects of Happy Wheels once again is another tidy little title that’s dubbed Canvas Rider. For all those who still don’t know what we’re talking about, well the game lets you ride along the tracks that have been previously chalked out by other players. You can avail of 2 types of bikes namely, MTB or BMX and employ the same controls for both modes of transport. What’s more, you’ll never get bored of the same track as there are hundreds of them submitted on a daily bases. 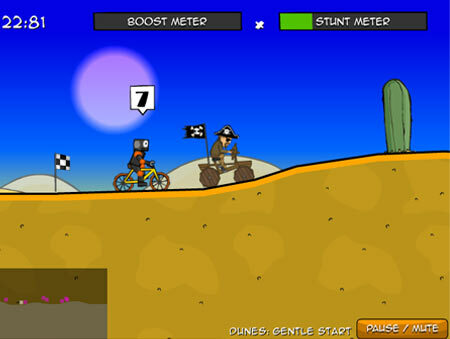 You can even create your own levels for other speed enthusiasts to play on. The beloved Bikini Bottom resident is seen invading our Happy Wheels alternatives array with the browser-based title christened SpongeBob Boat O Cross. 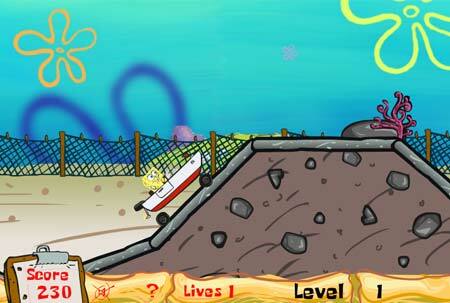 Your goal here is to stack up the most points on the scoreboard while keeping the quirky yellow sponge from toppling over or crashing his red and white boat into the ground. To keep SpongeBob on track, all you need to do is employ the arrow keys located on your keyboard and guide him safely along the reef. If you’re a fan of motorcycle racer titles and own an Xbox 360, then you’re just in luck. 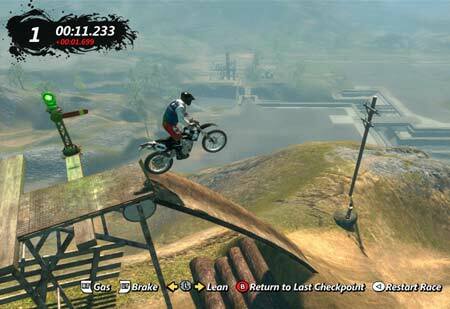 Trials Evolution sports a vibrant outdoor setting that includes a real-time multiplayer feature that can accommodate 2 to 4 players either via Xbox Live or locally. If you wish to conquer the crowds solo, you can always take advantage of a rich single player career that’s built-in with 50 brilliant tracks, tricky achievements and challenging unlocks. And although the title incorporates a more serious approach when pitted against Happy Wheels, it still delivers a fun racing experience. Similar to earlier titles like Diesel or Death and Solid Rider, Cyclomaniacs also lets you zip through a host of environments, all with just your trusted cycle. 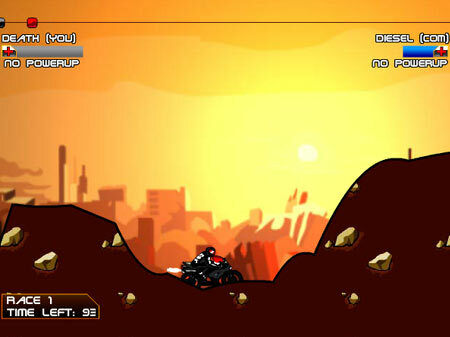 You’ll be able to conquer various places such as Sunset City, The Dunes, Outworlds, Volcania and Planetoid. You can even step into the role of different in-game characters like Robotjam, Phoenix The Penguin, Elvis, Billy Boneshaker, Sir Walter Raleigh and The Man With No Brakes. Join Mario as he hits the beach and races across the mean waters in his jet ski. 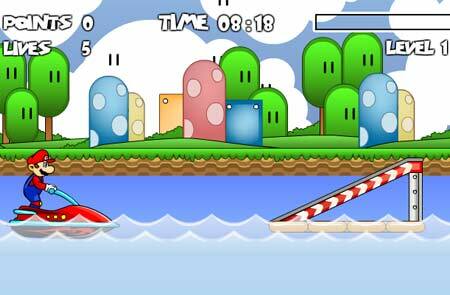 Mario Jet Ski, the next contender in our games similar to Happy Wheels lineup, sees the plump plumber making a big splash on your very own browser screen. 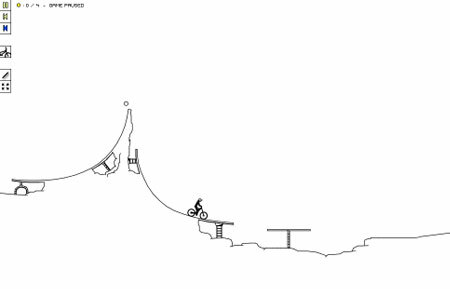 You can skid across floating ramps in an attempt to collect the coins scattered around the exciting levels. Your aim here is to reach the finish line before losing all your lives. Our final inclusion turns your average shopping cart into a flying vehicle. You must try to soar through the air and land safely on the ground minus any injuries. And depending on your distance, height, tricks and style, you’ll be able to earn a high score and in-game money for purchasing upgrades like racing wheels and double rockets for your shopping cart. The 10 games like Happy Wheels aren’t your usual Burnout or Need for Speed. They provide a much more casual gameplay approach and allow you to laugh about your mishaps and crashes instead of swearing at your screen. Try your hand at these titles and let us know which ones got you addicted. If you have a few worthy names you would like to add, do punch them into the comment box below. Toptal Website Alternatives: What Can They Do Better?